The GPUS-sponsored statement on the Occupy Movement passed about one half hour ago, with a few amendments that deleted some of our text, a few grammatical, one that we agreed to for extraneous text and three substantial ones that we disagreed with. Two of them passed and one was defeated. The vote totals and the text of each is below. In general, the text that was deleted had to do with the idea that politics can be 'occupied' and the people who voted to delete that text were from the more establishment parties, predominantly the Europeans. I found this quite disappointing, but not surprising. I also felt like the people who voted to delete had not participated directly in the Occupy movement where they live. amendments to our text late on Saturday afternoon and when we opened the file that was supposed to contain the amendment, and it only said 'delete', but did not contain the reasons why, and no one approached us with the reasons until it hit the floor on Sunday morning, and then there was only the opportunity to have two people speak in favor and two against. On the amendment that we won (i.e. that we defeated), Chung-Ming Wang (http://www.youtube.com/watch?v=ASIWtQcOuEA) from the Taiwanese Greens spoke in our favor, saying his party had originally submitted their own resolution and then withdrew it in favor our the GPUS one. Observer, Global Greens Congress (sitting with our Alternate Delegate Bob Marsh and fellow observer Jack Ailey). view with hope and admiration, recent such movements that are sprouting up around the world, from the Arab Spring to the Spanish Indignants to the Occupy Movement worldwide. 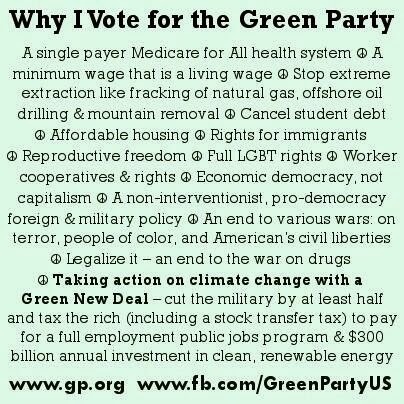 The Green Party believes this view is a healthy and necessary skepticism. 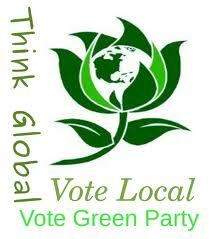 But we also believe that people and parties can 'occupy' politics if they put their mind to it. Although it hasn't been called that, the Green Party has been trying to 'occupy' electoral politics since 1972, when the first Green Parties began in Tasmania and New Zealand. 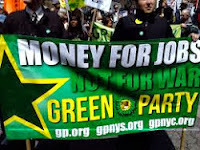 Today, with Green Parties in 100 countries on five continents, and with thousands of Greens elected in local governments plus more than 250 to national parliaments worldwide, the global Green Party movement is a successful example that a political party can do politics differently and still be effective. How? There was no vote count as this one was not close. There were a handful of abstentions, and among them, our GPUS alternate delegate Bob Marsh cast one abstention and two 'yes' votes, to make the point that we thought that the statement was weakened in a negative way.